This has been a magical season for Lincoln City. Not only did they reach the Quarter Finals of the FA Cup but they won the Football Conference National League, hitting ninety nine points and marking their return to League Two in style. The main architects of those successes were the management team made up of brothers Danny and Nicky Cowley. Kevin Graham had the opportunity to spend a day with them them as they went about their coaching duties. These are his observations. It’s not often that non-league managers become household names but Lincoln’s incredible success this season has projected Danny and Nicky Cowley’s profile into orbit. The first time that Danny Cowley came to my attention, however, was earlier than most, specifically in February 2016 following an incident during Cowley and his Braintree Town team’s game away at one of my old clubs Guiseley. Guiseley had inadvertently scored after an uncontested drop ball should have been given back to Braintree. Unfortunately no action was taken at the time by Guiseley to put this right, the goal stood and the non-league world soon became aware of the injustice. Cowley’s dignified if disappointed response to the matter was lauded - the way he spoke made a big impression on me. I made a mental note and followed him on Twitter – he followed me back, something he might subsequently have regretted! After leading Braintree to 3rd place in the Conference National despite their part time status and limited resources, the in demand Cowley brothers chose to give up their teaching jobs and joined Lincoln City on a full time basis. The rest, as they say, is history. Lincoln hadn’t finished higher than 13th in the Conference since dropping out of the football league six years previously, and in that time had struggled to manage the financial burden of running a fulltime, ex-league club with an infrastructure to match, in a league where visitors can regularly bring less than 50 travelling fans. The Cowleys literally turned the whole football club around and after a season that almost unquestionably defines them as the greatest non-league side in history, Lincoln City are once again a football league club. I contacted them in October to ask if I could go in and observe training – I’ve done this at a few clubs over the years but this time, I was hoping to get a deeper insight than just the innovation on the training ground. Given their background – Danny started in the Essex Senior League at step 5 of the non-league pyramid and juggled management with a full time teaching job and a young family – I felt if there was ever going to be someone who I could aspire to emulate, he was probably that man. At this stage I was lucky enough to start dealing with Alan Long, Lincoln’s Community and Player Liaison Officer. Alan is Lincoln City mad and was incredibly warm, helpful and accommodating, arranging for me to visit in early December. One of the initiatives the Cowleys had put in place saw fans who were willing to pay for the privilege granted access every Thursday to watch the players train, have lunch with them and get to meet Danny and Nicky. This transparency highlights the confidence Danny and Nicky have in their methods. Of course, certain tactical information remains sacred but their method is not something they feel the need to hide. 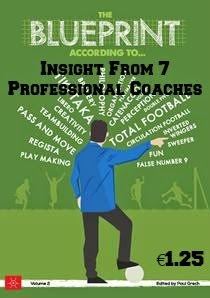 As they both acknowledge, they tend to borrow ideas from other coaches or resources and use them or adapt them if they see fit – there are very few new ideas on football, and the Cowleys are not visionaries as such in that sense. I arrived on the Thursday after Lincoln has beaten Oldham 3-2 in the FA Cup at home live on BT Sport, and was met by Alan who showed myself and the three lucky, and longstanding, Imps fans around the ground, the changing rooms and the various facilities at Sincil Bank, stopping to introduce us to whoever we came across on our way. It is fair to say everyone was very bubbly, friendly and, more than anything, proud of what they saw happening at the club. “Oh I’m sure Danny will look after you” and “Danny will make sure you have a good day” – just two of the comments from staff around the stadium. It wasn’t the first time the foot soldiers would refer to the guy they clearly see as their general in glowing terms. We were ushered into one of the hospitality suites where the management team proceeded to deliver a video analysis session on the Oldham game. The brothers had prepared 93 annotated clips of the game. The key messages focused on how well they played for the first hour – mixing controlled possession with targeted direct play, the need for them to recognize the fact that they largely dominated against a League One side who play possession based football and to take more belief in themselves from that, and probably most important, not to drop off and allow opposing teams to come on to them. At 3-0 and cruising, they naturally dropped a little deeper instead of being progressive, and this allowed Oldham back in the game. It wasn’t a fitness thing, it was a mental thing – a natural reaction for an underdog that find itself in that position. The message was clear – you guys are better than you think you are. We sat next to the goalkeeping coach, Jimmy Walker during the video session and he clearly lightens the mood whenever needed. A cult hero at West Ham and Walsall as a player, and still back up to goalkeeper Paul Farman at the time, it’s fair to say he is a larger than life character but one who takes his profession no less seriously. After an hour and only 58 clips, Danny recognized that the players needed a break so he left the video session there and explained that we’d all move on to training which would start at the nearby army barracks in 45 mins. The club train at 3 different venues depending on availability – not ideal but not something anyone seemed to be too bothered by. 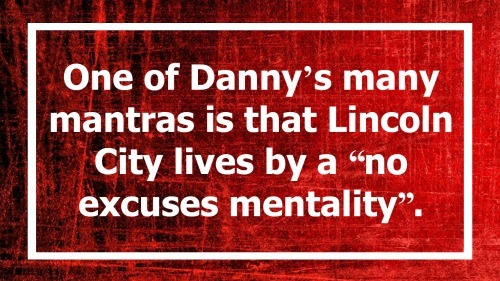 One of Danny’s many mantras is that Lincoln City lives by a “no excuses mentality”. Alan kindly gave me some insight into how much things had changed under the new regime as he gave me a lift to training and it was clear that the impact was about far more than just coaching. Maximising resources is clearly a strength of the Cowley brothers and Alan went into detail explaining how they had harboured links with the local university, lecturing and supporting students there in return for access to facilities and sports science resources. Just one example to underline why the Lincoln board got real value for money when they appointed the Cowleys. They plan training in cycles, gradually increasing the physical load on players over 4 weeks before having a recovery week and then starting again. This was week 2 so the load was not too heavy. The detail and influence of the Sports Science team was clear though – the players had undertaken “prehab” exercises tailored to their individual needs in the tiny gym at the ground before heading to training. 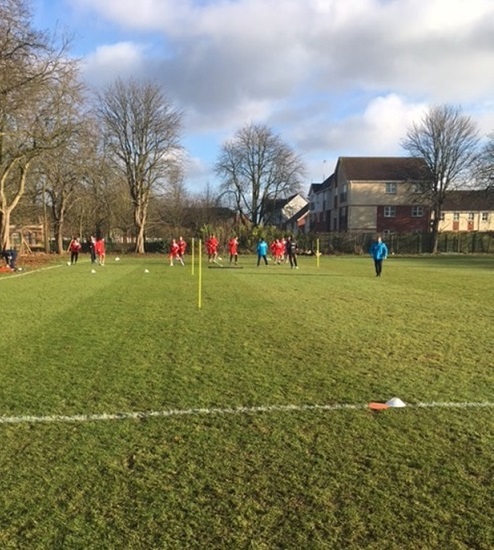 The activation session, or warm up if you like, was lead by Sports Scientist Luke Jelly and the players then went into some passing patterns. Nicky took the lead with the organization of the session and was the guy who clearly has an obsession with cones – a habit I’m sure many coaches can identify with! The passing patterns were done in two groups, working around poles set out in a hexagon. The emphasis was on the receiving angle, quality of the first touch, and the weight and direction of the pass. Standard stuff, with some competition introduced on quality of execution, so a breakdown in the chain meant the other group got a point, requiring concentration and focus rather than physical exertion. After 20 mins of that, the players went back to Luke and did some controlled sprints through a course not longer than 40m, building the intensity to finish with explosive acceleration. The attitude of the players, who were jovial and cracking jokes between practices but very focused on quality when engaged, was really noticeable. They then progressed to an opposed small sided game, a version of which I use quite regularly. On a square pitch roughly 40x40, Nicky set out 4 target areas, one in each corner. The aim of the game is to keep possession but score points by receiving the ball in one of the target areas in the four corners. In teams of 6, the practice is a great all-rounder in that it requires combination play and intelligent movement off the ball, lots of spatial awareness and there are lots of transitions so lots of defensive recovery work and also opportunities for quick attacking penetration. The third group of 6 players did specific work with Luke when they were not involved. I watched this part of the session with big Jamie McCombe, the vastly experienced centre back who is now a player coach. McCombe was used sparingly throughout the campaign and now has more than one eye on coaching – so much of this season has seen him learning his trade by working with the Cowleys. Not a bad place to learn, I’d say. 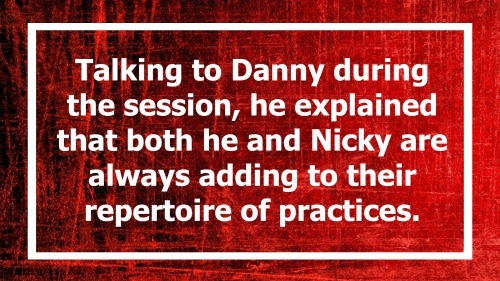 Talking to Danny during the session, he explained that both he and Nicky are always adding to their repertoire of practices and that they scour many of the same resources as I do. Diego Simeone’s sessions on defending and focus on transitions were one such example he felt really benefitted the team. 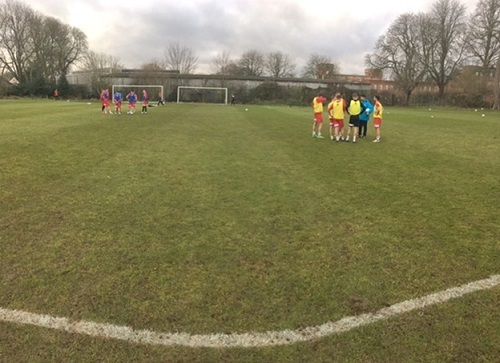 After 25 mins of the four corner game, the players came in for water and a stretch before the session finished with a conditioned game on a ¾ pitch. With a 30x40 area set out in the middle of the pitch, the idea was to achieve a set number of passes in the central area which freed up players to create an attacking overload. Danny was particularly keen to see full backs recognize the attacking transitions and deliver from wide areas. The intensity levels were quite sporadic – you could recognize the bad losers out there but there were quite a few interventions and so the tempo never really went past 75%, though the quality at times certainly did. The session ended with a structured cool down and I joined Alan for the journey back to Sincil Bank. On reflection I probably learnt less from the training session than the other aspects of the day – it was fairly standard stuff in terms of the set up, preparation and structure. The delivery and coaching points were clear and concise, and the how, when and why of the decisions players had to make was identified or challenged. I’m quite certain it was good enough to pass a coaching practical but that’s not where the Cowleys are different. Their connection with the players and the culture they have created enables everything else they do. They are no coaching geniuses or magicians from what I could see, though that’s not to say they are not amongst the very best I’ve seen. Everything they do is impressive but what differentiates them is about more than just a coaching session. Lunch was taken back at the ground and I watched as the players were served by the catering staff. The way players behave with others says a lot about them as people and they engaged on a level with staff who served them, and were polite with it. These details are important to me and what I saw reflected the standards the Cowleys set. I can’t help but think that the way the team stuck together and kept going when their bodies were failing them in the final games of the season was a reflection of the respect they have for each other but also the people at the club who supported them – Danny repeatedly acknowledged the role everyone at the club played. It’s one thing to say something sentimental in an interview, it’s entirely another thing to be able to show you mean it. As I ate my food, the fact that the catering staff had been asked to get more beetroot into the players’ diet to aid recovery demonstrated another tiny example of the detail that goes into the Cowleys’ method. The final part of the day saw us invited into their office to ask the management team some questions. Alan played a blinder for me here as he had already arranged to oversee the questions from the 3 supporters who were with me before taking them and leaving me to have a bit more time with the brothers. I watched an interview with Danny after the Arsenal game in which he said how grateful he was to have had the opportunity to spend such a long time with Arsene Wenger in his office at The Emirates, that he learnt so much and that he will never forget that. What transpired in the next 90 mins or so for me that day left me feeling exactly the same way about the Cowley brothers. Yes…I was like a kid at Christmas. I thanked them for their time and left, popping in to see Alan on my way out. I don’t mind admitting I was on a slight high for days after visiting Lincoln, and I left feeling like I’d been in the company of people who were destined to achieve great things. I took my own training session that evening, making reference to one or two Cowleyisms but no more. I spoke to good friends in the game about what I saw and explained why I felt they should keep an eye on them and anything they can read about them in the media. It’s fair to say though that the 5 months since that day in December have seen Lincoln City achieve beyond even the most confident young manager’s wildest dreams. We listened to the Burnley game on the radio as I drove to our own fixture that afternoon and the sleepy village in East Yorkshire we were driving through must have had quite a shock as Joe my assistant, George my son and I all let out a collective scream as Sean Raggett’s header went over the line. We’re Middlesbrough fans in our family but George will always look out for Lincoln City from now on. It really has been fairytale stuff. The poignant memories of Graham Taylor, the way the Cowleys have lifted and inspired a whole city and many more beyond, the money that they have earned as a club to pay off debts and then secure the club’s future, the incredible mentality to keep going and keep accumulating league victories after an unprecedented FA Cup run, being guests on Match of the Day….I could go on. For two kids who grew up making their own dug outs in their bedroom to play Championship Manager on, who followed their beloved West Ham home and away, who played all the sports they could together in the school holidays until it was time for bed, who probably weren’t good enough to be professional footballers themselves but who had careers to be proud of in non-league football and who this time last year were throwing their heart and soul into teaching kids and making a difference to their lives…..it’s not your typical success story. Firstly, they outwork their opponents. These two work 80 hour weeks – they used to combine full time teaching with coaching in the Conference. So they don’t see 80 hours spent on football as work. They simply love the game. They are so hungry and so motivated because they appreciate every chance the game gives them. The sense of entitlement some managers portray as a result of having been in the professional game for 30, 40 years plus is conspicuous by it’s absence. The Cowleys’ humility is born out of their gratitude for this opportunity. Secondly, they are incredibly organized and pay attention to so much detail. 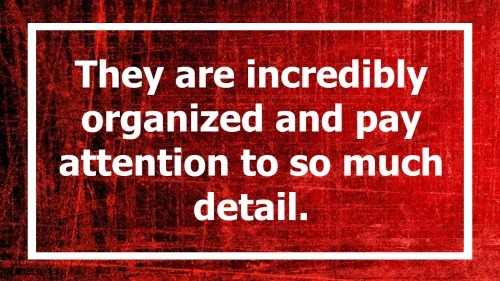 Their work ethic allows them to cover so much ground. They run a Championship set up on a Conference budget. Third, they are intelligent guys. Their teaching career has afforded them the chance to learn about sports science, sports psychology and the science being learning and coaching. Fourth, they treat people well. Not just their players. Everyone. Even the guy who wants some of their time to further his own learning. Their values are cast in stone, a reflection of their family’s values and worth ethic. 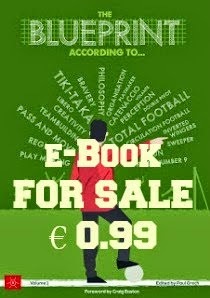 They don’t recruit players on ability if the character is largely flawed – they want good human beings in their dressing room and around their club. The bond between the brothers is incredible and that is the starting point for the way they treat others. Fifth, they have confidence in their own ability. They hate losing but they’ve known little of failure in 9 years since Danny became a manager. When you are used to winning as a manager, it is easier to get your players onside and bought in to your methods. Sixth (and final – though there are probably more), they are incredibly consistent. They refer to their method all the time, they are process orientated. That’s not some attempt to sound clever – they know that if their players pay attention to every aspect of their preparation for games and repeat that process thoroughly, the results will come. They don’t change their method just because they lose a game or two, nor will it affect their core values, their work ethic or their communication. I must have watched 50 Danny Cowley interviews this year and when you watch them as much as I do, you could say he is pretty boring! The same responses, the same words, the same steely determination and the same polite and well-mannered rapport with the media is evident in every single interview. Their players always know where they stand because they can rely on this consistency. Danny in particular is an outstanding leader – a role he recognizes comes naturally to him. Leadership in any organization is critical and I’ve never come across one as impressive in the game. When he speaks people listen, and everyone who listens recognizes this guy is pretty special. He’s also smart enough to realise that his interviews are an opportunity to gain more support for the club and also speak to his players to reinforce his expectations to them – put him in the Premier League tomorrow and any Chairman would be glad to have a guy with his communication skills representing his club. To those who might suggest these two are laptop coaches without enough understanding of the game, you couldn’t be more wrong. The culture of the dressing room and the way the game really works in that world fans don’t get to see is something they’ve been a part of for years – they are old school football men who embrace modern methods….in fact any methods young or old if it gives them more of a chance of success. So it’s fair to say I’m a fan, and unashamedly so. A good pal of mine who is also a coach often ribs me about my “Cowley crush” but frankly, this isn’t some sort of passing craze. This is just a case of doing the basics incredibly well – there’s no magical mystique or science behind their approach. Despite all that, there are aspects of their approach that mean not everyone sees them as the next incarnation of Christ in footballing terms. Danny and Nicky are winners – and during games they are not averse to questioning the officials. Not in an abusive way, but in a way that all coaches will recognize needs to be done at times during games. I’ve witnessed a couple of managers take serious umbrage at this – nothing new and not something that is exclusive to the Cowley brothers. There are those in the game who would have you believe they are not as angelic as some would have you believe. There is indeed a fine line when it comes to seeking to gain small advantages during games – invariably those who do it well and achieve success whilst doing so are going to be maligned by their opponents. This will happen more and more, but I very much doubt they care what other people think because they are focused on winning. “Managing” games is part of football and these two do it incredibly well. They also expect to shake hands and move on at the end of games but some managers may not be so keen to do so. This is life, not just football! They do hate losing – I’ve seen it up close, having watched from a couple of rows back as York came back from a goal down to beat Lincoln 2-1 in the first leg of the Trophy semi final at Bootham Crescent. Tensions ran high and Lincoln had to accept defeat. Danny, visibly annoyed, had to face the media and also an 8 year old who wanted a photo with this guy he’d seen a lot on TV recently. 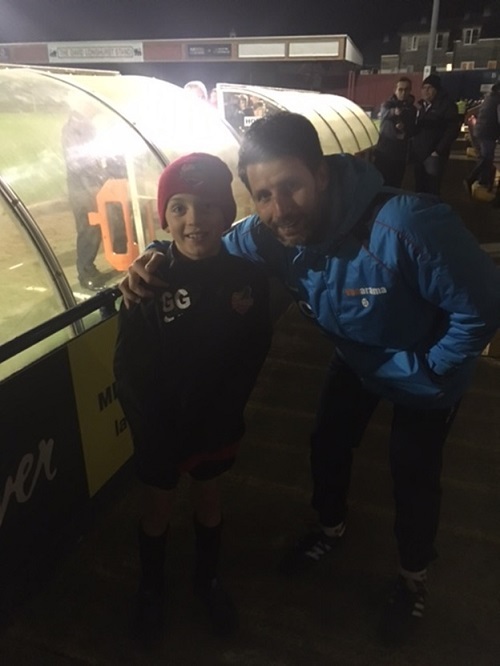 Of course he was obliging and friendly as he made young George’s night, consistent as always. And what of the future? They start next season in the Football League, and they have earned the right to manage there. It is a personal milestone but not one they will dwell on for too long. I can’t see anything other than a successful first season back in the football league for Lincoln City. The club is in a great place, well set financially so able to operate on a competitive budget, with the average home gate at Sincil Bank likely to be double what it has been in recent seasons and a squad that is now well developed and familiar with the methods that the Cowleys introduced last season. The first couple of months of this season will have seen the players feeling their way and gradually getting used to what the new regime wanted. They should only get better as a result of hitting the ground running in late June. It is only a matter of time though before bigger clubs come knocking. Danny has spoken of his love of working at a club where he can get the players, staff and fans well connected, where the money and profile doesn’t create a barrier between them. However, he is also ambitious and I’d guess Championship clubs have already made enquiries about their availability. I have no doubt they can go right to the top of the game, mainly because they are lifelong learners. They will never rest on their laurels and will adapt to the challenges their progress will present. I do think their method will have to change – managing at a big club in the Championship or Premier League requires much more delegation. At present the size of the club combined with the Cowleys’ work ethic means they can cover a lot of disciplines themselves but at a bigger club the scope and responsibilities will expand and a much larger team will be required to manage the work load. It will also be interesting to see how the brothers’ unique working relationship will adapt, but frankly I can’t see any of that being a problem. Neither, I am sure, would they. I can’t claim to really know the Cowley brothers – they have been great to me during a time when the whole world wants a piece of them. They don’t take themselves too seriously and lack any semblance of self-importance, yet have the confidence and belief in their ability to rub shoulders with the best. They are still young, still learning and have yet to face any sustained period of failure which will inevitably happen at some stage. 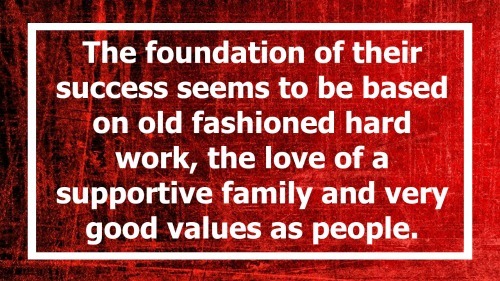 But the foundation of their success seems to be based on old fashioned hard work, the love of a supportive family and very good values as people. I love that. Alan said to me when I walked into one of the executive boxes at Sincil Bank that morning, “Watch these two, we think Danny will go on to manage England one day”. I was inclined to be somewhat dismissive at the time but I now think there’s a chance Alan and the people of Lincoln could be proven right. After making over 200 appearances for a number of clubs in the upper reaches of the non-league pyramid - Whitby Town, Guiseley AFC and Goole AFC - Kevin Graham ended his career playing for St Martins AFC and the Guernsey's national team having returned to the Channel Islands where he had grown up. Once that career had come to an end, he took on new roles helping out in managing Guernsey Athletic FC as well as scouting for a number of non league teams. His most significant appointment, however, came in February of 2012 when he was appointed as manager of the Guernsey national team whom he led consecutive Muratti vase wins in 2012/2013. He is also a tactical analyst for Evening Gazzette in Middlesborough and can be found on Twitter.